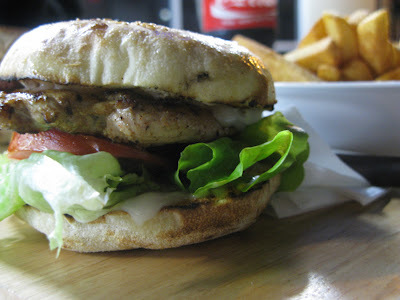 Few days ago on a lazy night (lazy to cook) Joe and I went out for dinner. Didn't know where to go, we stroll along northbridge, looking for something that is appealing to me. 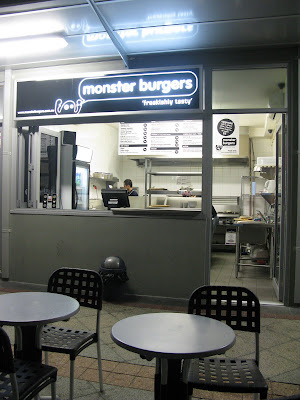 Then I remember that sort of newly opened Monster Burger at Aberdeen St, opposite the Shed. That shop was really small, as u can see, the tables and chairs were all outside. I think it's cool! 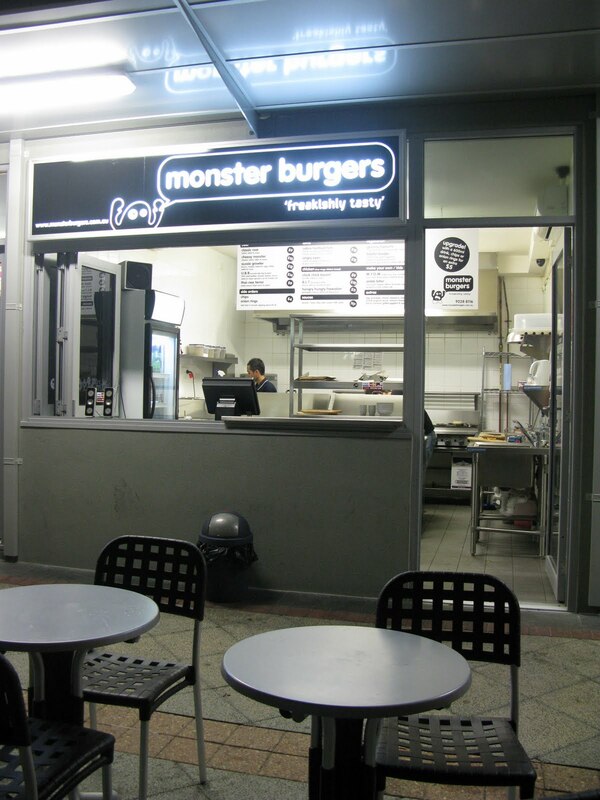 hehehe.. sitting there, with cool breeze while eating the burger. I like it. But don't know on the Friday or Saturday night! it's gonna be freaking crowded because theres clubs and pubs around. I had the Chic Chic Boom. Pretty good. Juicy and love the bread. 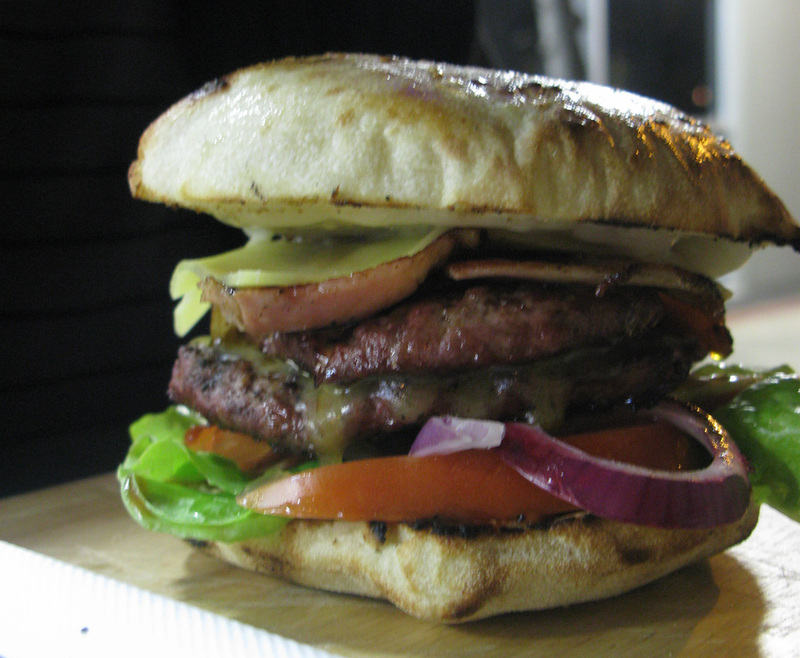 Wouldn't compare with the ones that I had in the Burger Bistro because of the cheap price. Chips that night were dry too. Very very dissapointing for me. At least they uses the healthy turkish bread!